In today’s fast-moving times, the hustle and bustle of urban routine can take its toll on our health. As such, it has become even more imperative that we pay more attention to our wellbeing as we tackle and juggle the stress our hectic lifestyle demands. 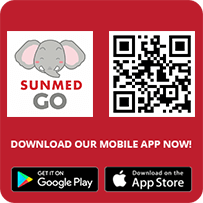 At SunMed’s Wellness Centre, teams of Medical Officers and Consultants across various specialities are here to help you to manage potential health risks by providing specific screening programmes and personalised consultation. Services include History & Clinical Examinations, Body Mass Index (BMI), Blood Pressure Screening, Thyroid Screening, Full Blood Count and many more, to help you manage symptoms such as ischemic heart diseases, hypertension, diabetes mellitus, hypercholesterolemia and other diseases. You can find more information about the health packages below. Heart matters are the heart of the matter. Living with a heart condition puts a limit in living your life to the fullest. But this can be prevented if regular heart screening test is carried out. A heart screening test is the safest and most accurate screening tool to detect the most common cause of heart disease, build-up of calcium in the coronary arteries. The measurement of calcified plaque with can help your doctor to identify possible coronary artery disease before you have signs and symptoms. A heart screening test is simple and painless, and knowing about your condition early gives you the heads up for the need medication or lifestyle changes to reduce the risk of heart problems. Taking up a heart screening package for early detection gives you the upper hand in lowering the risk of cardiovascular disease, also called coronary artery disease (CAD) by managing health behaviors and risk factors, such as diet quality, physical activity, smoking, body mass index (BMI), blood pressure, total cholesterol or blood glucose. 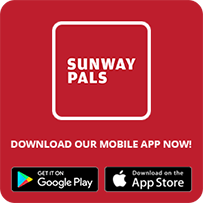 When it comes to matters of the heart, trust Sunway Medical Centre to get to the heart of the problem. We offer a complete heart screening package to put your heart at ease and live life worry free. This package is only available under the recommendation of our panel neurologists. Marriage is one of the major milestones in life. It is a commitment of two people who have decided to take the next step in building a life together. As the giddiness of wedding preparation begins, one important item is always forgotten on the check list, a pre-marital health screening. Pre-marital health screening is a test that assesses the health of couples who are considering marriage and provide them the information of their current health condition. It also highlights potential health problems such as infectious and transmissible diseases that could pose a risk to their partner and their offspring when they eventually plan to start a family. Understanding the genetics of your partner could not only provide the necessary precaution and treatment options, it will help you understand the tendencies of health condition in your partner such as cholesterol and blood pressure level, and you would be able to care for your partner better. Pre-marital health screening in Malaysia is often required when couples submit their wedding registration. This precaution is for the benefit of the couple in charting their family planning together. At Sunway Medical Centre, we offer a comprehensive pre-marital health screening, catered for your peace of mind towards your big day. The package prices quoted are in Malaysian Ringgit and includes Government Service Tax (GST). Patients with pre-existing diagnosis of lung cancer are not eligible for this screening package. Are you going for a trip to South America or Africa? Find out if yellow fever vaccine is needed at your destination and plan ahead to get it. 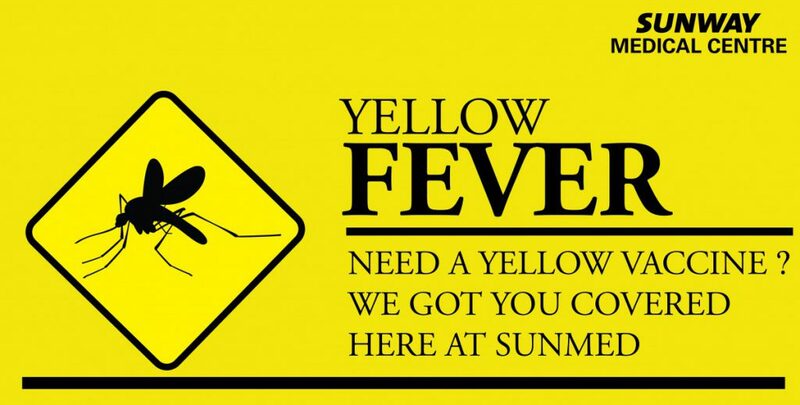 Yellow fever vaccine is the best protection against yellow fever disease, which can be fatal. Sunway Medical Centre in one of approved yellow fever vaccinating centres in Malaysia. Where did you find out about this health package? Any additional vaccination, medications or service which is required out of the stipulated items in this promotion is subject to charges. This promotion price covers only ONE consultation and does not include subsequent follow-ups (if necessary). By appointment only. Please contact our Wellness Centre to schedule an appointment.